Who doesn’t like a restful, yet fun, traveling experience at sea? Thank you to both Judith and BB for providing us with this great list of Mystery Books that Take Place on Cruise Ships. I enjoyed the story very much. Thank you, Chelsea. I have added it to the list. Thank you, PlumGaga. I’ll go add this book to the Cruise Ship theme. Laura Levine Jaine Austen series “Killer Cruise”. Thanks, Betty. I’m on my way to add this series to the Cruise Ship list. I’m currently reading ‘Murder for the Halibut’ by Liz Lipperman. The setting is on a Caribbean cruise ship, Carnation Queen. Thank you, MJ. I will be adding her as soon as I can get into the editing page. Who knew there are so many Cruise Ship theme mystery books?! Thanks so much for adding this theme. I can’t wait to read this amazing books. Janean, I bet you didn’t know you would have this many Cruise Ship mystery books in your near future! (I certainly didn’t.) Aren’t these Cozy Mystery readers great?!? Sorry to be a dissenting voice, but Agatha Christie’s “Carribean Mystery” does NOT take place on a cruise ship. There’s not even a cruise ship mentioned. All the action happens at a hotel and on their beach. She came there by air (before the books starts) and leaves by air as well (the book ends with her saying goodbye at the airstrip). You’re so right, Deahna. You would think I could have remembered that plot! The Queen’s Jewels (Murder, She Wrote) by Jessica Fletcher and Donald Bain. And at least starting out on a cruise ship is Panning for Murder, same series, same author. Thank you, Deahna! I’m off to add both of those books to the list. What a fun list! Thanks for sharing. Welcome to the Cozy Mystery site, Brooke B! I guess I’m blowing my own horn here, but I have “Deep Blue Murder” an ebook, takes place on a Caribbean cruise. Moore, an ex-science teacher as well as a writer and managing editor of a newspaper, also owned her own travel agency. She writes the Sydney March Mystery Series, which features a travel agent. Moore has a lot of first-hand experience in the travel agency field, including guiding tour excursions, and going on many, many cruises. BB, thank you for telling us about yet another Cruise Ship mystery book. Danna, I’ll wager a bet that quite a few people living on the East Coast would dearly love to be going on a cruise about now, what with the blizzard. Those people sure have had a rough time weather wise for the last several months. Mother Nature sure has a weird way of reminding all of us that we aren’t as in charge as we think we are. Maybe She wants to remind us that we are at her mercy at all times. Here’s hoping that any who frequent this forum of yours are safe and are riding the storm. Linda, as nice as being on a cruise in lieu of hunkering down for a blizzard, I would probably find myself worrying about my house the entire time I was out at sea. She sure is in charge! This sure was a very timely topic what with those people being stranded on that cruise ship last week. I can’t understand why it took so long for whoever was in charge of bringing that ship to port to do that!! Why couldn’t another ship or say maybe the Coast Guard been sent out to get those people off the ship?? Reminds me sort of when Hurricane Katrina hit the Gulf Coast and all those people were left stranded in the Super Dome for so long. Doesn’t make sense to me!! Linda C, or how about how when Hurricane Katrina hit and all of those school buses were just parked in their lots? Another book that takes place on a cruise ship is J. A. Jance’s Birds of Prey. My husband and I enjoyed the audio version of this story where, J. P. Beaumont accompanies his grandmother and her new husband on their honeymoon cruise to Alaska. Thanks, Merry, I just added Birds of Prey to the cruise ship mystery theme. While on a cruise recently I checked a book out of the library about some people connected with an art gallery all being invited on a Caribbean cruise. People disappear. I didn’t get to finish the book before the cruise ended (actually the book disappeared from my stateroom???? ?…another mystery) and I never did recall the author, nor do I remember the exact title but I think it was “Murder By Knots”. Can anyone help me with this? Florence, take a look at Nancy Cohen’s Killer Knots. This might just be the mystery book you are looking for. As for your other mystery – can’t help you with that! This book is a sequel to “Murder at the JC” by the same author. Our story begins with the theft of three famous paintings from the Louvre Museum in Paris. At about the same time the book’s main characters, the Bryans and the Flannerys, fly from Houston to Barcelona to board ‘The Northern Lights’ for their Mediterranean cruise. They befriend a young couple, the Adams, who soon disappear from the ship and are assumed dead. Our foursome spend the rest of their voyage attempting to solve the mystery of the Adams’ disappearance. Later developments back in Houston link this mystery with the theft of the three paintings. Working with the FBI, they eventually apprehend the killer and recover the paintings. Love your site! I hope you’ll add Deadly Reunion, the latest book in my Cealie Gunther series. Thank you for telling us about your Cealie Gunther series, June Shaw! Also, my first two in the Darcy Farthing adventures. Mystery, murder, much more and exotic travel around Cape Horn on a cruise ship. Currents Deep and Deadly and Currents of Vengeance. Thanks, Arleen, I just added them to the Cruise Ship mystery book theme. Death takes Passage by Sue Henry 1997. For the Centennial voyage of the Yukon Klondikers who went from Skagway Alaska to Seattle with their gold a modern day small ship reenacts the trip and murder occurs along the way. the author has written a number of Alaskan mysteries. Joan J, I’m glad you mentioned this book. I just added it. Please add Deadly Reunion by June Shaw. Thanks so much. June, thanks for telling us about your Deadly Reunion. Might I recommend Red Sand by Ronan Cray. There are two cruise ships, though it discourages most from taking a cruise again. I just saw Dark Passage, by Marcia Talley at the Baltimore county public library as just received. according to the synopsis, Hanna Ives who resides in the Annapolis area is taking a cruise with her sister and 14 year old niece who disappears on the ship. It turns out she is not the first one on this ship!!! Thank you, Joan J, I just added Marcia Talley’s Dark Passage to the Cruise Ship Mystery books list. Josh, thank you. I just added it to the Mystery Books that Take Place on Cruise Ships theme. Another good mystery to add to this list is Getting Old Is The Best Revenge, by Rita Lakin. It’s the second volume in her Gladdy Gold series. In this book Gladdy and her friends win a free cruise and find themselves hunting for a murderer on the ship. Margaret, I’m so glad you mentioned this Cozy-on-a-cruise book. Rita Lakin is a favorite author of mine, so shame on me for not remembering to add it to this list! Thank you! Hi, CRUISING FOR MURDER stars a young Chicago actress hired to work entertainment on a cruise from Port of Miami to the islands. A lot of behind-the-scenes cruise ship stuff. This is the second book in the Morgan Taylor series and is a funny quick read. Sue, thanks for suggesting this book for the Cruising list. It fits right in! “The False Inspector Dew” by Peter Lovesey is set on board the S.S. Mauretania, sailing from London (Southampton) to New York in 1921. Danna, Hope Callaghan has a whole series with the cruise ship series that I did not see on your list of cozy cruise ship mysteries. 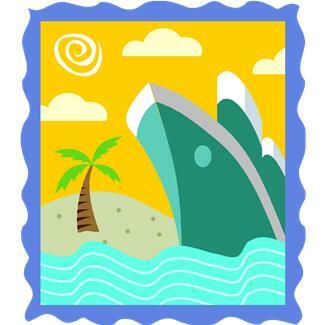 She has written 8 books in her Cruise ship Cozy Mystery Series. Her first one is entitles “Starboard Secrets” and her newest one is “High Seas Heist”. Please include her in your cozy series lists. She has three other topics set of cozy mystery series. Jan, thanks, I’ll have to take a look at it some time. Lily Harper Hart writes the Rowan Gray Mystery series. Rowan is a photographer on a cruise ship. She has three out so far: Stormy Seas (3), Murky Seas (2), and Welcoming Seas (1). I haven’t read all of the comments, so I may be repeating someone else. First Class Murder by Elliott Roosevelt is set on a French luxury liner, the Normandie.